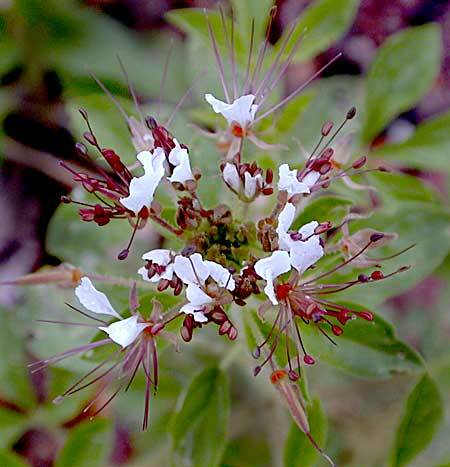 Other names: Roughseed clammyweed, western clammyweed. Notes: 4 white petals, 6 - 20 pink to purple stamens of variable length. Flowers follower by erect pods to 3 in. long. 1 species of Polanisia in Arizona.